Kushinagara – where he passed away. 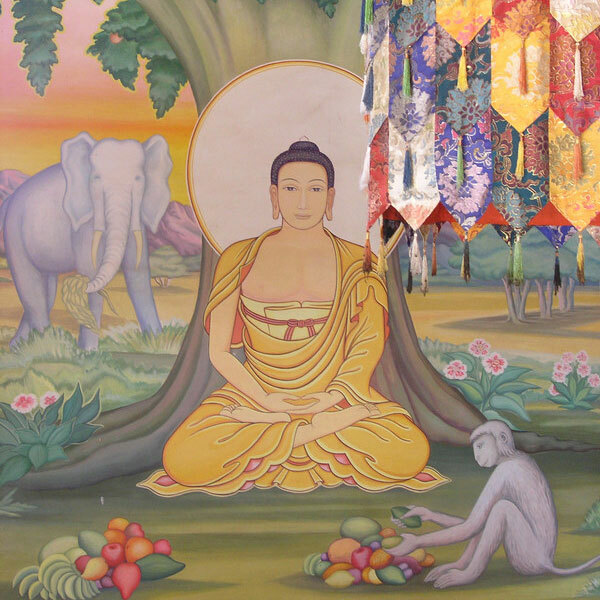 A painting showing Siddhartha Gautama sitting under the Bodhi tree where he attained enlightenment and became the Buddha (the awaken one). 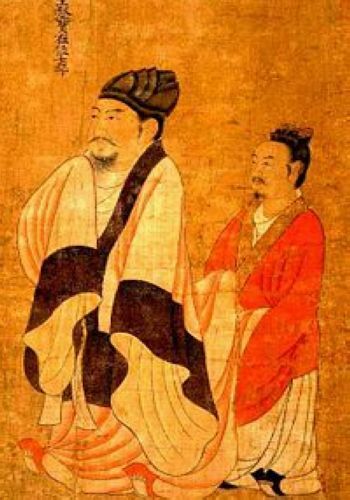 The seven sages of the bamboo grove refer to the seven famous scholars of the mid-third Century (during the Wei and Jin Dynasties): Ji Kang (嵇康), Ruan Ji (阮籍), Shan Tao (山涛), Xiang Xiu (向秀), Liu Ling (刘伶), Wang Rong (王戎), and Ruan Xian (阮咸) whom people called “the Seven Sages of the Bamboo Grove“. They were a group of outstanding writers, calligraphers, painters, and musicians who were viewed as embodying the values of naturalness and non-conformity. Above is an image of the famous Seven Sages of the Bamboo Grove, along with the mythological folk hero Rong Qiqi 荣启期. 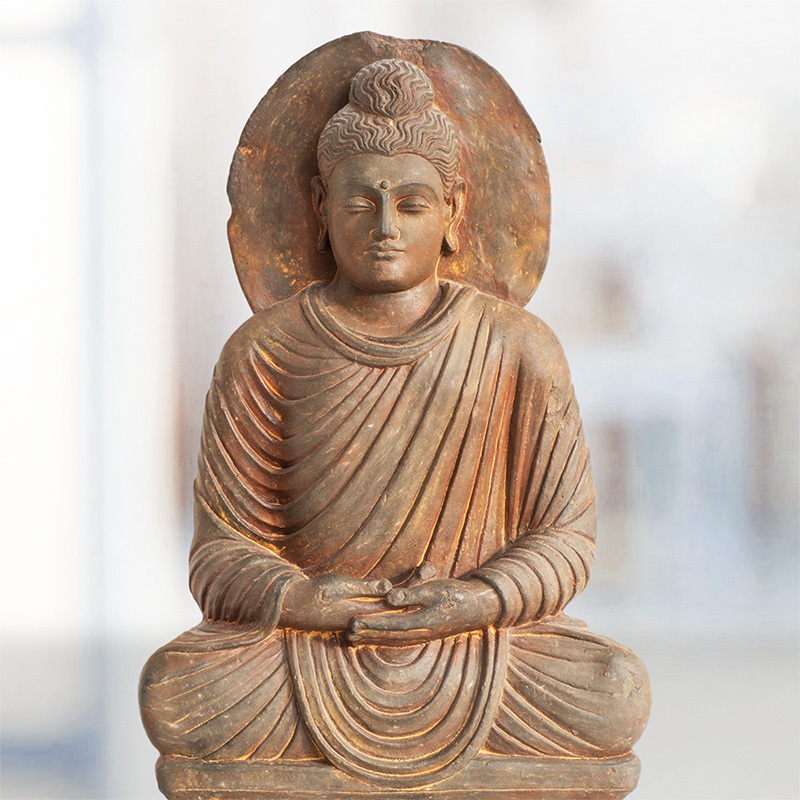 Rong Qiqi was depicted as a recluse, who shuns material possessions and lives an ascetic life. 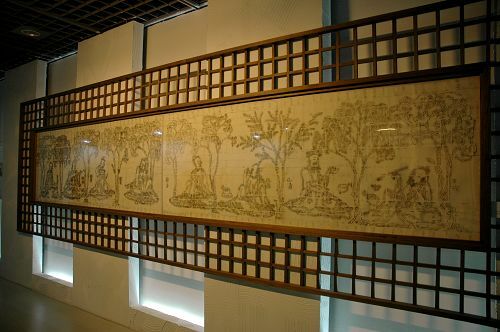 The image is a rubbing of a tomb mural from around the turn of the fifth century unearthed near Nanjing. What does this image of each sage tell us about each sage and as a whole what were these sages viewed in the medieval world and what do you think they represent? What does it tell us about the tomb occupant? 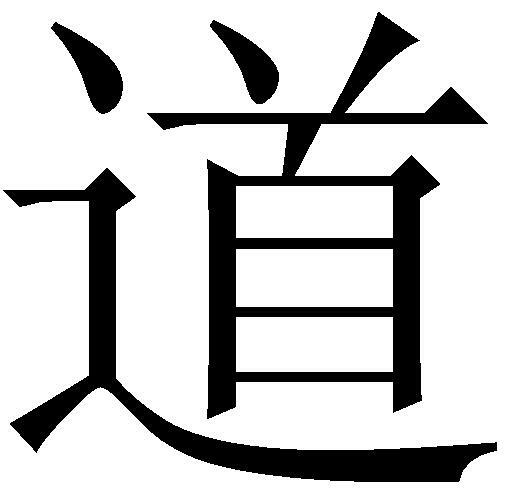 竹林七賢之一的嵇康：One of the well-known musics, Guang Ling San 广陵散 , was made well known by Ji Kang （224-263 C.E.）who was said to play this song before he was executed. 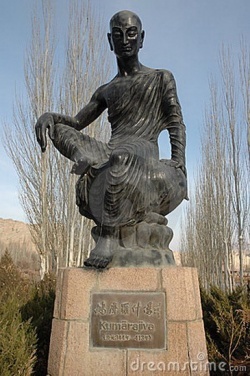 Ji Kang was the leader of the seven sages. He advocates “越名教而任自然” meaning to follow the nature, not contracting it in thought and action, but rebel against orthodox Confucian rituals and conventions. The Seven Sages of the Bamboo Grove have inspired not only generations of poets, but also painters and other artists. 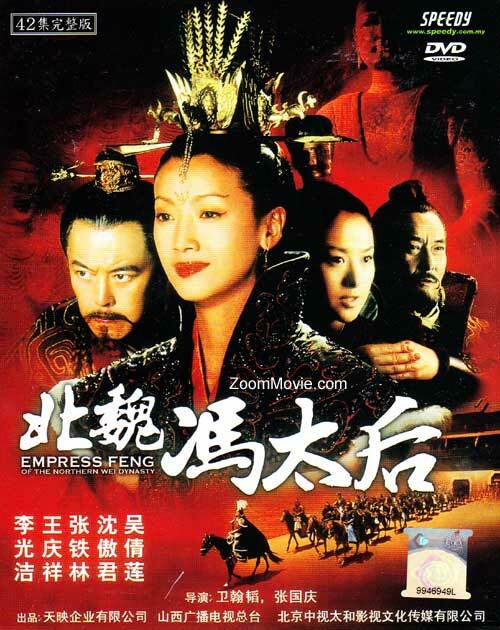 The seven worthies of the bamboo grove (Cao Wei-Jin dynasties). 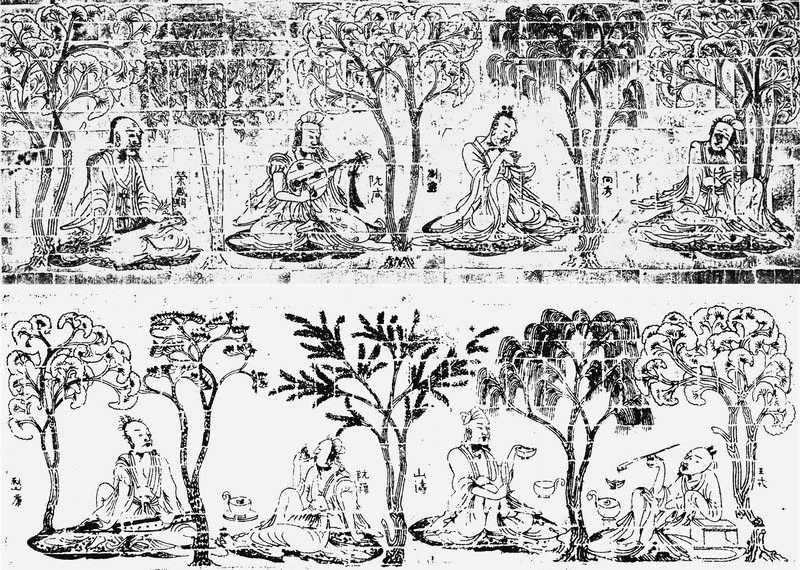 Seven Sages of the Bamboo Grove (with the addition of an anachronistic or immortal Rong Qiqi). From rubbing of Eastern Jin molded tomb bricks. 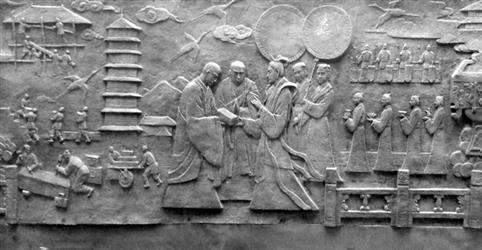 Details of the molded-brick relief “Seven Sages of the Bamboo Grove and Rong Qiqi”, found from an Eastern Jin or Southern dynasties tomb near Nanjing, which depicts Shan Tao (left) and Wang Rong (right). Details of the molded-brick relief “Seven Sages of the Bamboo Grove and Rong Qiqi”, found from an Eastern Jin or Southern dynasties tomb near Nanjing, which depicts Rong Qiqi (left) and Ruan Xian (right). The Seven Sages of the Bamboo Grove embroidered on dark blue satin woven silk, 1860-1880. “The Seven Saints in the Bamboo Wood” painted inside the Long Corridor on the grounds of the Summer Palace in Beijing, China.